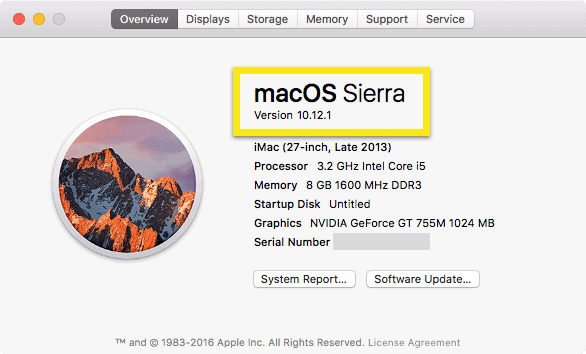 This guide will show you how to determine what version of macOS (formerly Mac OS X) is running your MacBook, MacBook Air, MacBook Pro, iMac, Mac Pro, or Mac mini. 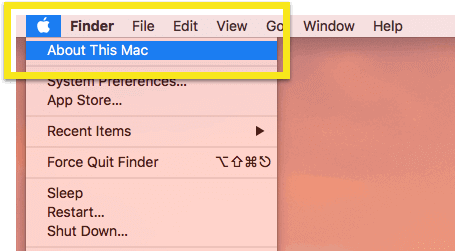 In the Apple menu at the top-left corner of your screen, select About This Mac. The version name and number will appear in the window that opens.